Traditionally, Pollarding was used to harvest the wood for fuel, posts, fencing etc.. and new shoots were used as fodder for livestock. 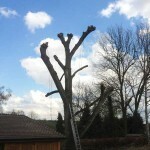 Nowadays, Pollarding is done to maintain the health of a tree and reduce a range of possible risks. 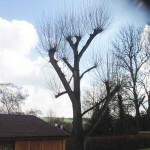 Pollarding is generally the removal of all smaller branches and shoots. The remaining larger limbs are often seen with a knuckle like finish. This technique keeps trees healthy and prevents them from growing out of control, maintaining balance. Pollarding can be carried out annually depending on species, but is more often performed at multiple year intervals. Frequent pollarding will also slow down root growth and can prevent sub level damage. 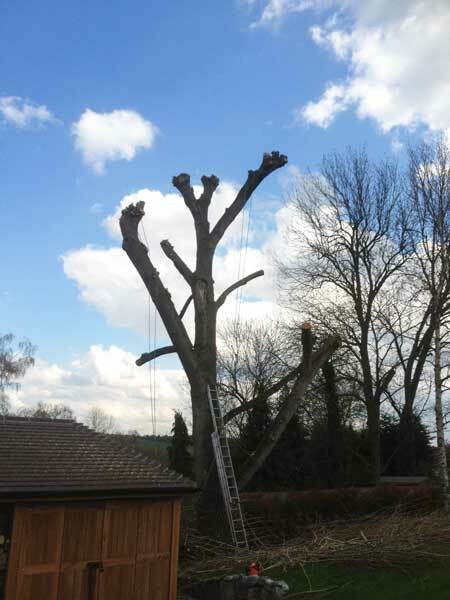 Pollarding is often essential to bring a tree back to a healthy state and reduce excessive weight and vulnerability to high winds. Trees in London Streets can often be seen in a pollarded state preventing them from affecting Telephone Lines and other such infrastructures like Street Lighting. The best time to pollard a tree is from late winter to early spring, though if required, pollarding can be done throughout the year. 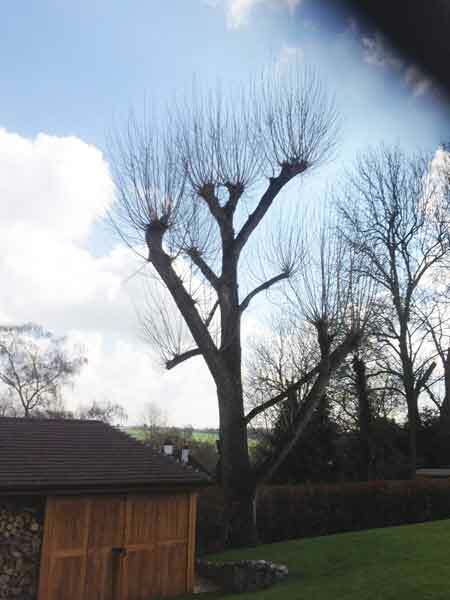 Common trees that can be Pollarded include: Willow, Ash, Common Lime, London Plane Eucalyptus, Poplar and some Oaks.